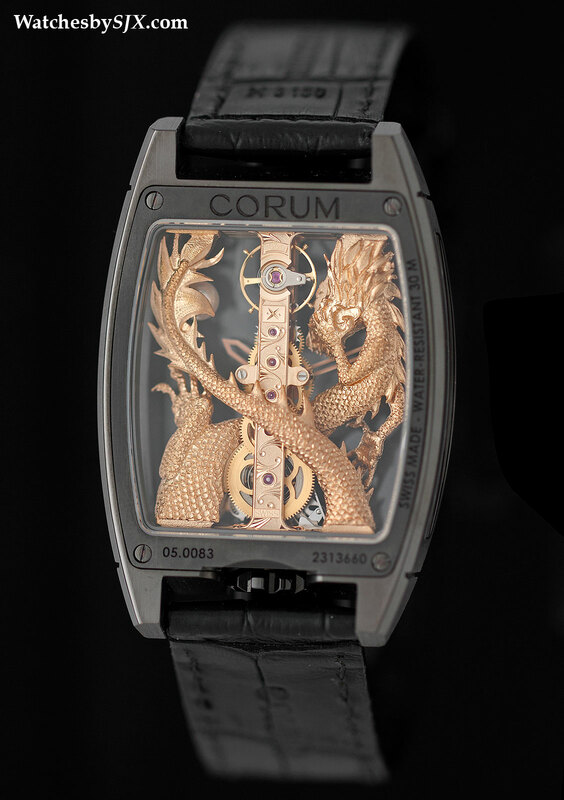 Long Corum’s signature wristwatch, the Golden Bridge now has a gilded dragon snaking around the narrow baguette movement, seemingly intertwined but actually sitting a hair’s breadth away from the calibre. 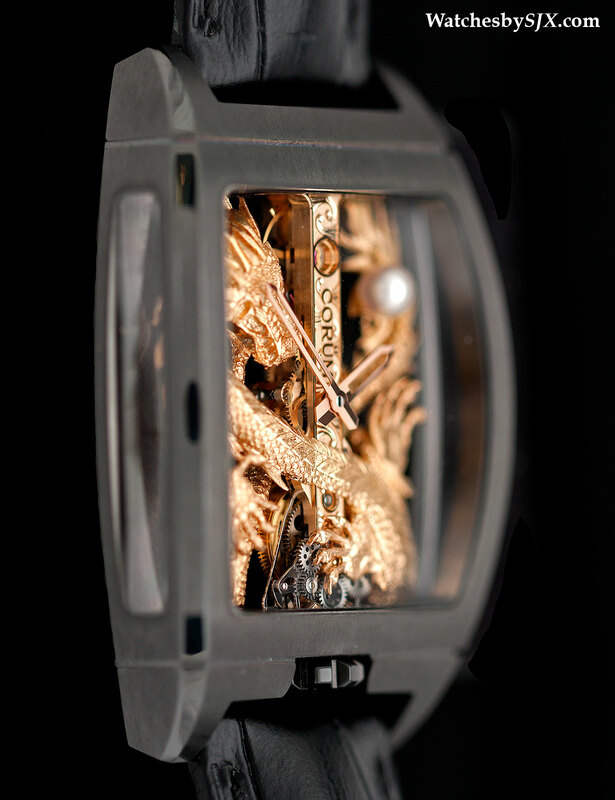 The Corum Golden Bridge revolves around a simple premise – an incredibly compact movement laid out in a linear manner and suspended in a wide watch case. 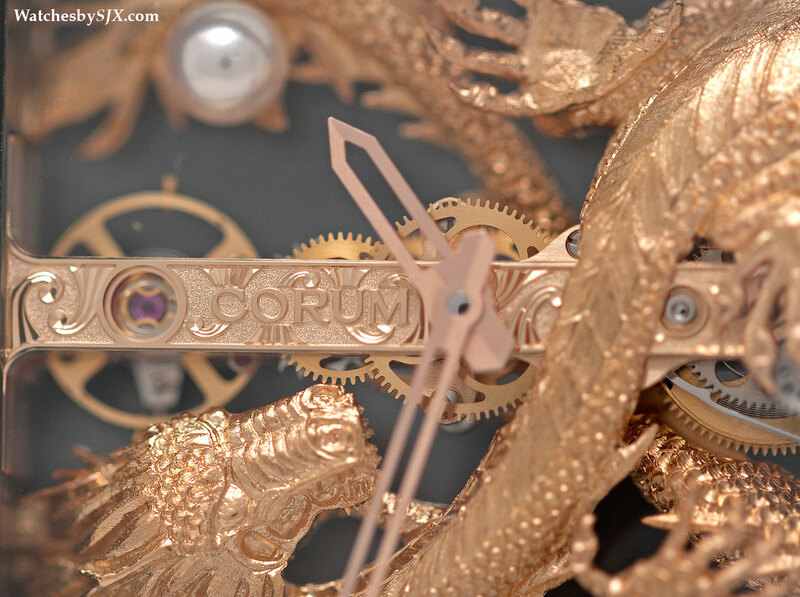 This left lots of space around the movement, drawing attention to its fine shape. 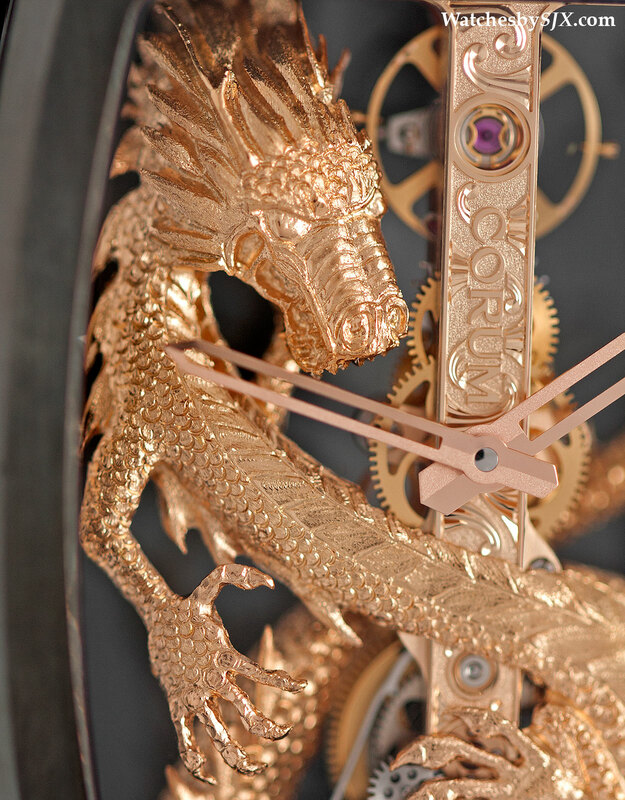 Now Corum has filled that space with a dragon, resplendent in hand-engraved rose gold. 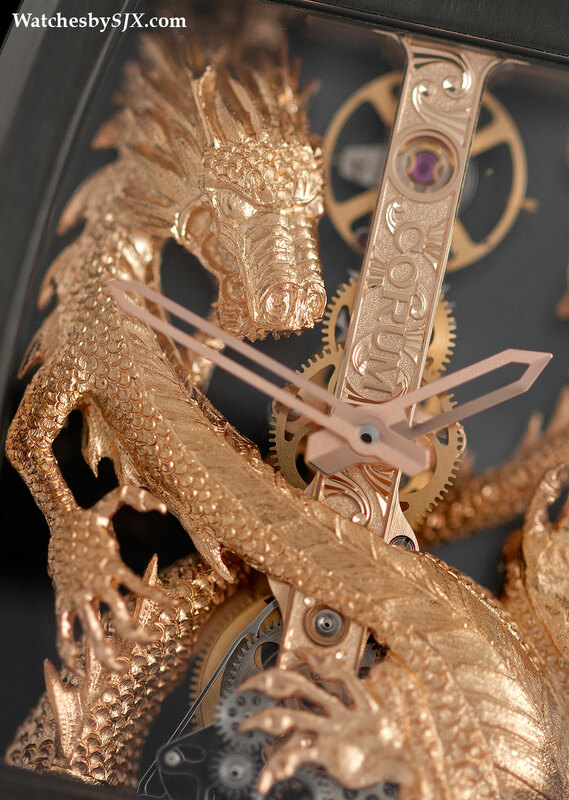 Coiled tightly around the movement is an intricately detailed dragon, chasing a pearl, the symbol of luck and wealth. First cast as a rough form, the dragon is entirely engraved by hand. It is visible from the front, but sapphire crystals on both sides and the back illuminate it from all corners. 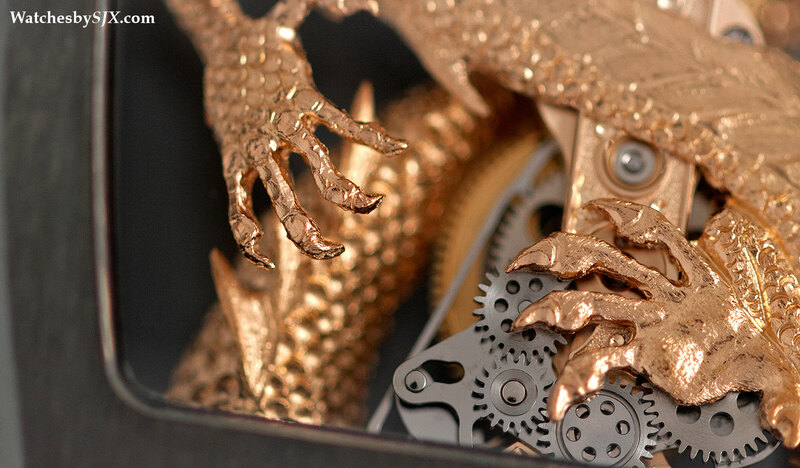 The resulting details – especially the fine scales and delicately defined claws – are stunning. 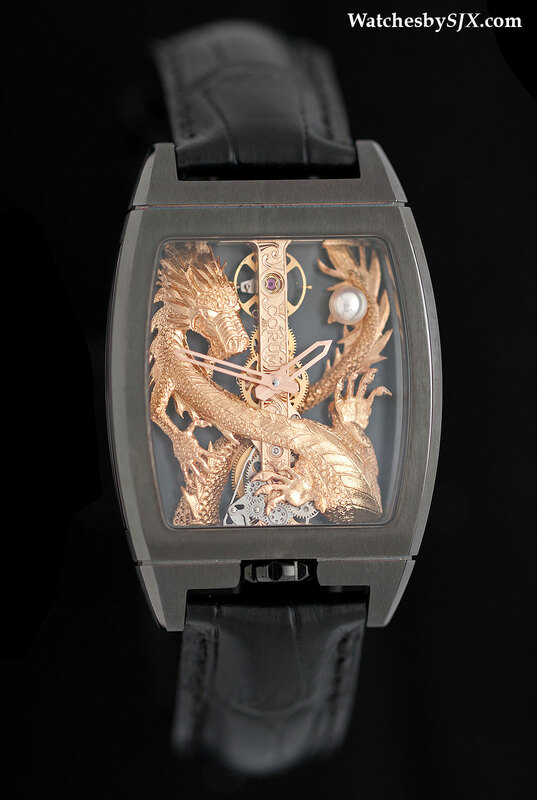 Because of the texture of the dragon, it catches the light and really shines, literally. 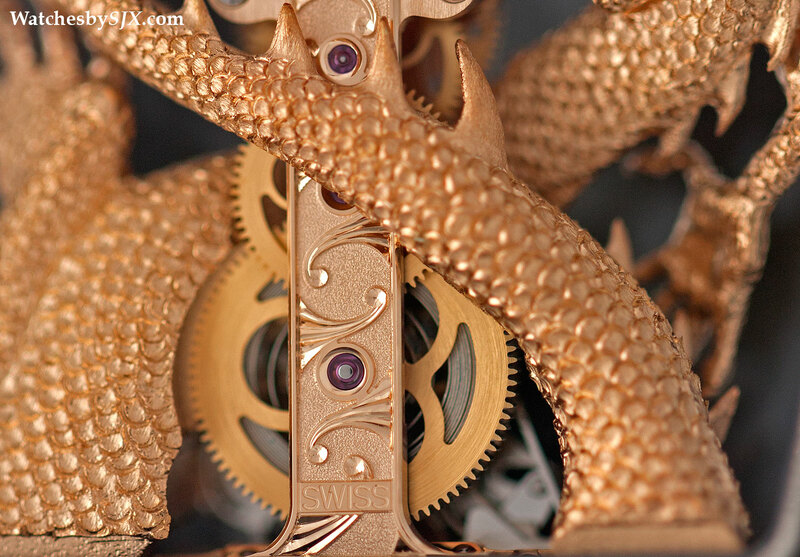 The dragon actually makes it way around the movement, though never touching it, and is visible from the rear as well. 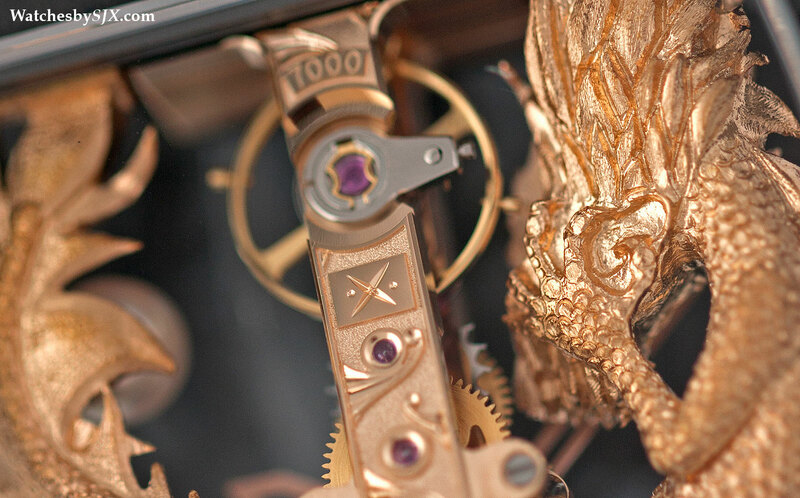 Despite the tiny dimensions of the hand-wound movement, it has a 40 hour power reserve. Though visually similar to the impractically delicate Golden Bridge of the eighties, this CO 113 movement (and also the rest of the Bridge movement) is a new calibre that is robust. 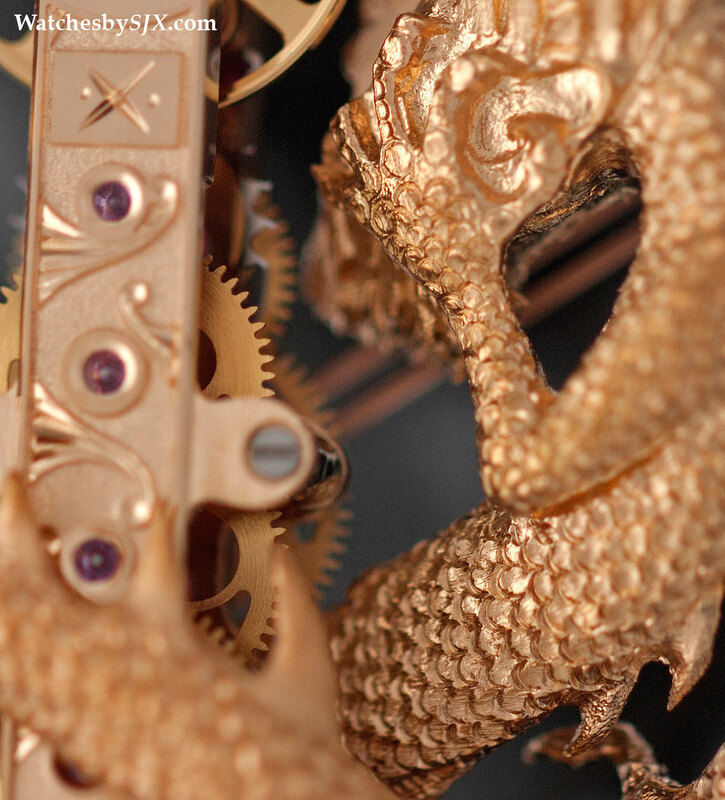 Like the dragon, the movement bridge and base plate are made from 18k rose gold and relief engraved with curlicues. 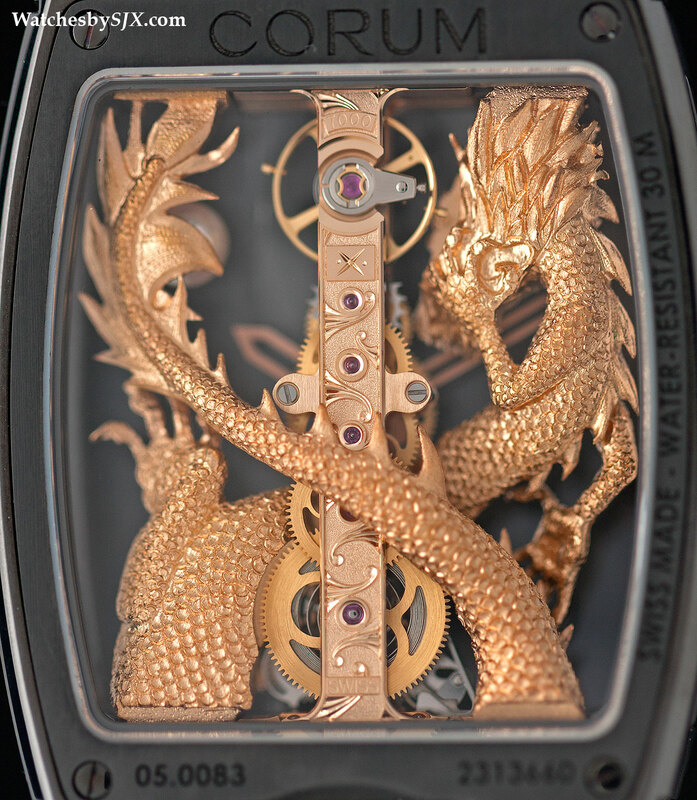 It sits inside a case that is 34 mm wide and 51 mm long, modest dimensions but nonetheless extremely striking on the wrist thanks to the golden dragon. Pictured here is the DLC coated titanium version, which costs 100,700 Singapore dollars before taxes, or about US$80,500. This is also available with a rose gold case for 117,700 Singapore dollars before taxes, equivalent to about US$94,100. Versions set with diamonds are also available.